Today wasn’t quite as hectic. We spent the morning taking care of business and laundry so it was early afternoon before we got out on another bike tour. This time we went back to Deadwood to see it in daylight and stroll through the downtown. From there we continued on to Spearfish Canyon. That is a biker’s dream ride, lots of turns through pine forests and enormous mountain cliffs. Before starting though, we had to stop at Cheyenne Junction for a bite to eat. Since it was a little too early for dinner, we decided we’d have dessert first – an absolutely delicious piece of homemade Mountain Medley Pie with vanilla ice cream and drizzled with raspberry sauce. Mountain Medley is a combination of rhubarb, black berries, raspberries and apple. Mmm. Other patrons were stopping at our table and drooling over it. We stopped for some groceries once we got through the Canyon, at the city of Spearfish, and then came on home to make dinner. A half hour after we arrived a big wind storm rocked the motor home and Jim had to scurry to put up the awnings. We were very happy that we’d decided to come home early tonight. 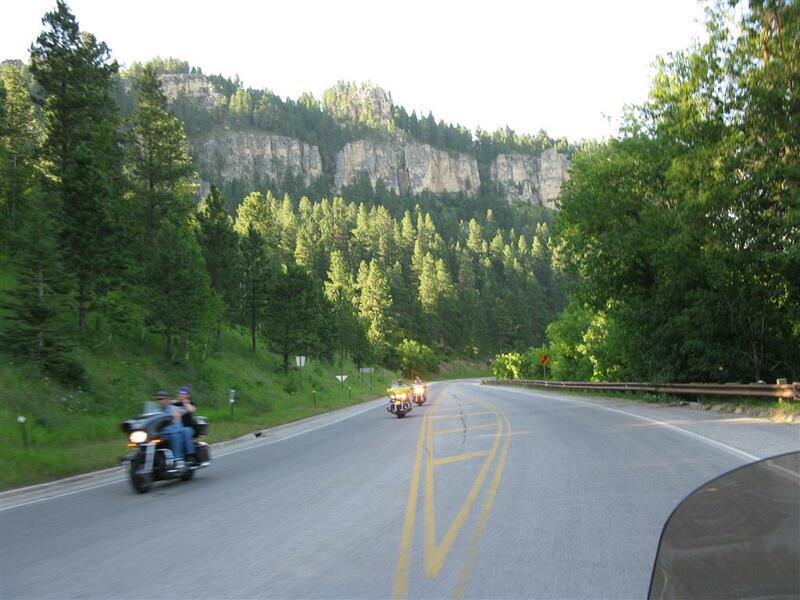 Your trip to Sturgis and the surrounding haunts is fascinating. 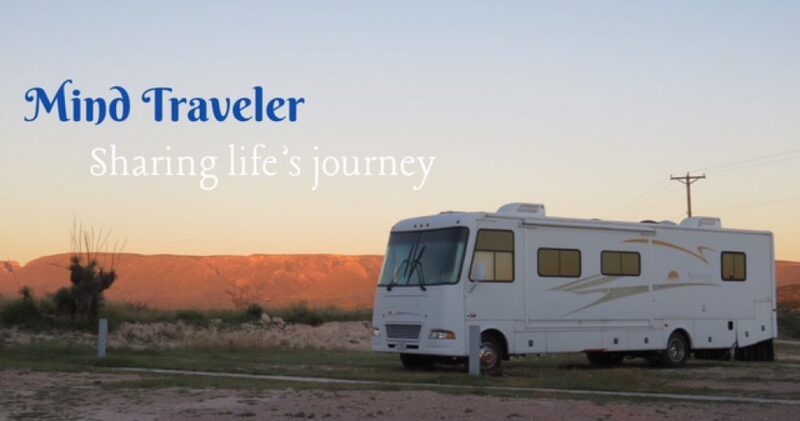 You are a good writer, Judy, and I can visualize how your day unfolds — adventures galore. Not many people have been able to turn their dreams into actions, but you and Jim have. I like your adventurous spirits.